Boy Scouts of America – BSA is a national non-profit organization with local groups of volunteer leaders dedicated to instilling citizenship and leadership values in boys from 1st grade through 12th grade. The program emphasizes age appropriate outdoor activities, such as camping and hiking, along with fun indoor activities that encourage good character. 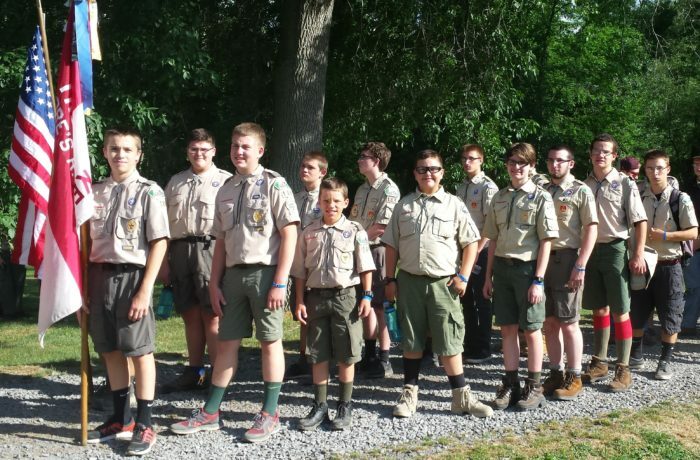 A boy can join Boy Scout Troop 185 once he’s completed 5th grade or is age 11. Troop 185 meets year-round, every Thursday evening, from 7pm-8:30pm at St. Isidore’s Elementary School, 603 W. Broad St, Quakertown. The emphasis on this program is developing leadership skills and encouraging independence through outdoor activities. The Troop typically goes on an outing once per month and Scouts are encouraged to participate in as many of them as they can. Boy Scouts earn higher Ranks as they meet accomplishments and learn new skills.